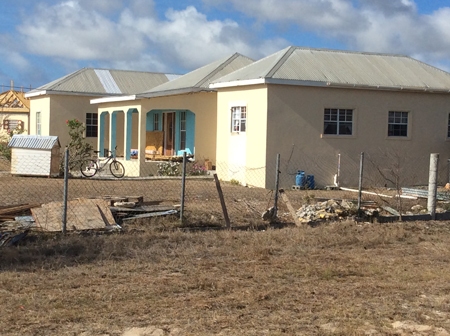 St. John, Antigua, June 28th, 2018 (NODS) - The two-million US dollar China-funded roofing restoration project on Barbuda has met and exceeded the target of 250 homes, just days before the June 30 deadline. The initiative, implemented by the United Nations Development Programme (UNDP) with the government of Antigua and Barbuda, focused on repairing the roofs of houses that received minor and major damage, or those categorized between levels one and three. The representatives of the NDRM-CARIFORUM participated in the sixth edition of the Regional Platform for the reduction of natural risks in the Americas, held in Colombia. 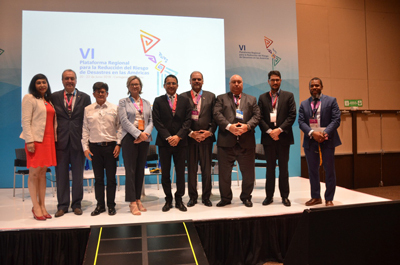 The VI Regional Platform for the reduction of natural risks in the Americas was held in Cartagena de Indias, Colombia, between June 20th and 22nd of 2018. This sixth edition brought together government agencies, representatives of the private sector, and members of civil society from the different states of the Americas and the Caribbean to exchange experiences and learnings in the field of natural disaster risk management and the strengthening of resilience in the countries and communities of the region. 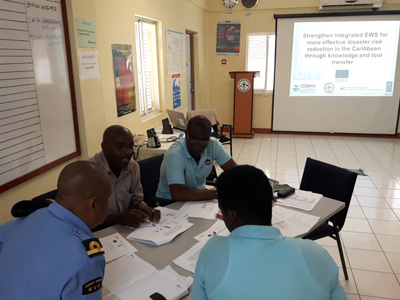 National partners in Dominica as well as St. Vincent and the Grenadines recently validated Early Warning Systems (EWS) survey results as continuation of a process to strengthen EWS through leveraging of best practices, tools and knowledge. The survey, which is structured around the four key elements of effective early warning systems, was a simple list of the main elements and actions that national governments or community organizations can refer to when developing or evaluating early warning systems, or simply checking that crucial procedures are in place. The Organization of American States (OAS), in partnership with the Academy for International Disaster Preparedness of Florida International University (FIU), is offering a Disaster Field Operations Course on July 13 – 15, 2018. Citizens of CARICOM member states are encouraged to apply for scholarship consideration by June 27, 2018. Provides scholarships to individuals to pursue a masters degree in hazard/disaster related disciplines at Caribbean universities (other than UWI) as well as institutions the United States, United Kingdom and Canada. Provides opportunities for university graduates who have specialized in the areas of disaster risk management, environmental management, actuarial science, geography, climate studies and other similar areas to be assigned to national and regional organizations for practical work assignments.